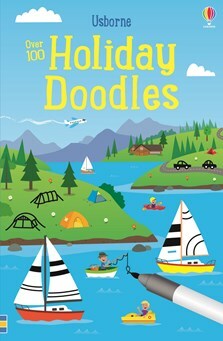 A sunny write-in activity book full of scenes to colour and holiday things to doodle. Children can doodle a beach towel design, fill in a dream flight ticket, add windows to sky scrapers, decorate a pile of suitcases and lots more. The perfect book to keep young minds entertained for hours, in planes, trains and departure lounges the world over.